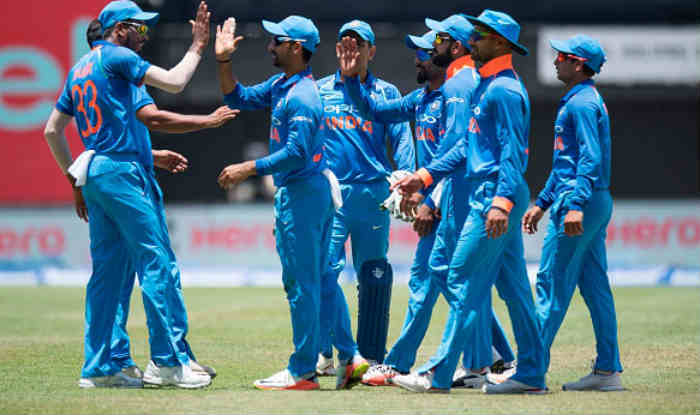 Following a historic One-Day International (ODI) series victory, ruthless India will aim to continue their form in the cricket’s shortest format when they face South Africa in the first Twenty20 International (T20I) at the New Wanderers Stadium here on Sunday.With a short interval for preparation after the ODI series that ended on Friday, the Virat Kohli-led India will aim to repeat similar performance as they did in the 2006 one-off T20I series here against South Africa.The last time both the teams met here for a bilateral series, India clinched a six-wicket victory over South Africa under Virender Sehwag.Bolstered by terrific all-round performances led by skipper Kohli, who was adjudged the Man of the Series in the recently concluded ODI series, India will hope to thrash the hosts in the three-match series. Alongside the skipper, batsmen Rohit Sharma, Shikhar Dhwawan, Mahendra Singh Dhoni, Hardik Pandya will look to make the most of their capabilities in the shortest format.Batsman Suresh Raina, who has made a comeback in the T20Is will act as an vital cog in the middle-order and will look to prove his mettle.The bowling department, which looked lethal with wrist-spinning duo Yuzvendra Chahal and Kuldeep Yadav will try to make a mark in the shortest format.Pacers Jasprit Bumrah and Bhuvneshwar Kumar will only add depth to the formidable Indian bowling line-up.However, the Proteas led by Jean-Pau Duminy in the absence of Faf du Plessis, will look to hit back at India in the shortest format of the game, under the likes of hard-hitting batsmen consisting the skipper himself, AB de Villiers, David Miller and Chris Morris, who can score some vital runs in the lower order. After what was a great final session of Test cricket in Kolkata, with rain playing spoilsport through the opening Test, Sri Lanka managed to eke out a draw with India needing just three wickets for a victory. With the series poised at 0-0 going in to the next, India skipper Virat Kohli addresses the media in Nagpur ahead of the second Test against Sri Lanka. Not difficult at all, because we pick a squad keeping in mind that all 15 are equipped with what is required to perform at the international level. These kinds of scenarios where two guys miss out for personal reasons is an opportunity for the guys who get games in these situations. I am not worried at all. I am very confident of the ability of the guys who will step in and they are looking at this as an opportunity to go out and do well for the team which everyone likes to do. I am not bothered. Obviously those two guys have made an impact in a lot of games for us. As I said, it provides an opportunity for others stepping in. As a captain of the team, my job is to assess the situation at all times. It is not only left to my positions while batting or where the bat is coming from or where I am leaving the ball or where I am hitting it. It is also to keep a check on what is going on in the game. That is something I relish, I enjoy, having to do a lot of things at one time. There was an opportunity to find the right moment to actually change things around. That is something that you want to do as a cricketer. Very seldom do you get to make a difference in a Test match in a short span of time. I look forward to opportunities like that. Everyone wants to bat long, everyone wants to bat well. Yes, in Test cricket you want to bat correctly with good technique. You will get those opportunities where you can make or set up a match for the team. Those are the kind of things we create as a team now. If you look at the past couple of years, everyone wants to step in and make an impact at times. We have won important sessions in all the Test matches that we have played. I looked at it as an opportunity. At the international level, you need to take risks. There is no safe game at the international level. You need an element of risk at all times. Depends on the magnitude of the risk depending on the situation that you are in. I was pretty comfortable taking risks. I knew I was thinking of the other side, not the negative side. What if it comes off. I was not thinking what if it doesn't come off. Thinking matters a lot in such situations, and whatever you think, as they say, you end up achieving that. I back myself to do it and luckily it came off. He has been very consistent. He has earned his spot. We wanted to look at another all-rounder keeping in mind that's a very important aspect of the team going forward. Obviously, Hardik (Pandya) is in our scheme of things as our first all-rounder But we need to, obviously, find out more people who have that capability and whom we can groom and make as back-ups for all-rounder's slot, which is very very crucial for us when we travel abroad. That is the whole idea of bringing him in and keeping him in the set up; making him familiar with what's going on here, making him understand what he needs to work on and look at his game as well. He is a pretty balanced cricketer, he is a very composed, he is handy with the ball, he can easily give you 10-12 overs a day and he is very solid with the bat. I just saw him at the nets. It's a big moment for him. He has earned it, as it said. The wicket is quite hard as it is usually at Nagpur with a nice grass covering on it. So, the fast bowlers should be in play for the first couple of days for sure, because of the bounce and the nice carry off it as well. From there on, the spinners will come into play. It is a pretty good wicket for overall Test cricket, I feel. I can't commit to that 100 per cent when we play abroad that we will be playing with two spinners to be honest. Because we need to have a look at the balance of the side as well. Obviously, those two guys with their batting abilities are both contenders to start a Test match depending upon the batsmen we are up against in the opposition because when you play on tracks which don't turn and bounce, it's very important to understand if the left-arm spinner is bowling to five right-handers or the offspinner is bowling to four left-handers. Just because the angle the ball coming in makes so much difference against a spinner. And it can turn away from you at some stage in the Test match. Those are very minor factors that you assess before picking the first spinner in overseas conditions but that's quite far away. But yes, we count them as all-rounders because they have proved themselves in different situations and they have made some very important contributions to the team. So they are no tailenders anymore, they are proper all-rounders. Their ranking does justice to that. They have really improved their games, it gives us good balance when we play both of them because when you play both of them, you can, if you want to, play an extra bowler as well. So that certainly gives us some cushion to play around. Yes, because unfortunately we get only two days before we fly to South Africa after this series gets over. So we have no choice but be in game situation and think of what's coming ahead of us. Had we got a month off ideally, we would have done a proper preparation in a camp sort of scenario, but we have to sort of make do with what we have. As usual cramped for time, which I think we needed to assess in future as well because we very easily assess the team when go abroad but we don't look at how many days we have got to prepare before we go to a particular place to play. And everyone starts judging players when results come after Test matches. It should be a fair game where we get to prepare the way we want to and then we are entitled to be criticised. So we thought this is an ample opportunity for us to challenge ourselves, put us in a situation... As I said, we want to embrace being in difficult conditions. I am not saying that everyone will go out and perform immediately but if we can feel comfortable about it after one or two or three innings, someone will come good. And once you come good, you build on that confidence. It's the same for the bowlers. Yes, we are looking at this as an opportunity. That wouldn't matter because, obviously you have to look at what you are playing at, what kind of wicket you are playing on and pick the team accordingly. I don't think the past record should matter a lot because you can see totally different wickets at venues when you play at different times. For example, the Ashes Test match going on right now doesn't seem to be the usual Gabba wicket that we see with lot of pace, bounce and carry. So, it all depends on what you are playing on and then select the team accordingly. 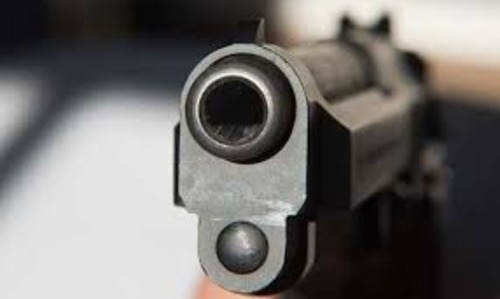 An 18-year-old has been shot here following a dispute over a kabaddi match, police said on Monday.Deputy Commissioner of Police Romil Baaniya said Avinash was shot in the Dakshinpuri area on Sunday night.The DCP said the teenager, who was participating in the kabaddi match, was shot by two spectators following a dispute over the match score. "A bullet grazed his skull and he was rushed to the Batra Hospital. He was operated upon," the officer said. Avinash's condition is said to be stable.The victim's parents have produced a Delhi State Kabaddi Association certificate of a match that he participated in earlier to prove that he is a kabaddi player, police said.DCP Baaniya also said both the accused have been identified and teams have been formed to nab them. Batting maestro Sachin Tendulkar has joined Prime Minister Narendra Modi in praising the Indian women's cricket team, which recently finished runners-up in the ICC World Cup in England.Modi had on Sunday's 'Mann Ki Baat' said that the Mithali Raj-led side may have lost the World Cup, but they managed to win the hearts of 125 crore people. "My thoughts resonate with those of our PM @narendramodi shared on #MannKiBaat regd my fellow Indian women cricketers' exemplary performance," Tendulkar posted on his Twitter handle after the programme.The Prime Minister in his address, said he could feel their pain at losing the final against England by a narrow margin of nine runs at Lord's. "Our women cricketers did us proud at the recently-concluded Women's World Cup. I got a chance to meet them this week and I felt really nice talking to them. But I sensed that they felt really bad for not winning the World Cup," Modi said. "They looked tense. But I told them about my own assessment that this is a media driven world and expectations from players are hyped manifold. And when these expectations aren't met, they turn in aggression. "We have seem many instances where if our team loses, the whole country is enraged. Infact, what hurts the most is when few people cross their limits and go on to say and write very shameful things," he added.He further said: "But this is the first instance when the country stood together with our team when they couldn't lift the title. Not just this, but the entire nation lauded the performance of these athletes as well. "I see this as a pleasant change. And I also told them that they are lucky to have this kind of support. It doesn't matter that you couldn't win the title as you have won the hearts of 125 crore people," Modi added. Former India opener Virender Sehwag and celebrated athlete P T Usha have been named in a 12-member Committee which has been handed the job to pick this year's Khel Ratna and Arjuna awardees. The Committee, to be headed by Justice (retd) C K Thakkar, will meet on August 3 to select this year's awardees. The Committee has Mukund Killekar (boxing), Sunil Dabbas (Kabaddi), M R Mishra (Journalist), S Kannan (Journalist), Sanjeev Kumar (Journalist), Latha Madhvi (Para athlete), Anil Khanna (sports administrator), Injeti Srinivas (DG, SAI) and Rajvir Singh (joint Secretary, Sports Ministry) as the other members. 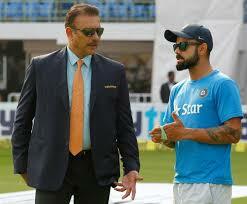 Indian cricket captain Virat Kohli feels that he will not be under any added pressure to perform with Ravi Shastri, considered to be his favourite choice for the post of head coach, back in the team replacing Anil Kumble.India enjoyed a successful spell under Kumble but the leg-spin legend's contract was not renewed amid a supposedly sour relationship with his captain.Now that Kohli and Shastri have come together again, the performances will be further scrutinised.But at the pre-departure press conference ahead of the tour of Sri Lanka, Kohli on Wednesday said that he is not distracted by the off-field drama that surrounded the appointment of the coaching staff which is now Shastri's "core team". "I don't think there is added pressure. What has to happen will happen. Criticism and being criticised is nothing new to us. Whatever is happening off the field doesn't bother us. I do not take any added pressure. I started as a player and you only focus on the series that you have to play," he said as the team embarks on a tour featuring three Tests, five One-Day Internationals (ODIs) and a one-off Twenty20 International. "I only have the bat in hand. I only focus on doing what is in my hand and that is to play. Speculation is not in my control. My job is to bring the best out on the field and make this team do well. "On the team's equation with Shastri, Kohli said: "We have worked together earlier as well so I don't think much effort will be required to understand each other. The Supreme Court on Friday asked former Board of Control for Cricket in India (BCCI) President Anurag Thakur to tender an "unequivocal and unqualified" apology for saying that the court's order for ushering in obligatory reforms in the country's apex cricket body amounted to government interference.The bench of Justice Dipak Misra, Justice A.M. Khanwilkar and Justice D.Y. Chandrachud also directed Thakur to make a personal appearance on the next date of hearing.The court has fixed next Friday as the next date of hearing.The court directed Thakur to file an unequivocal and unqualified apology as it said that the apology offered by him earlier was not unqualified. 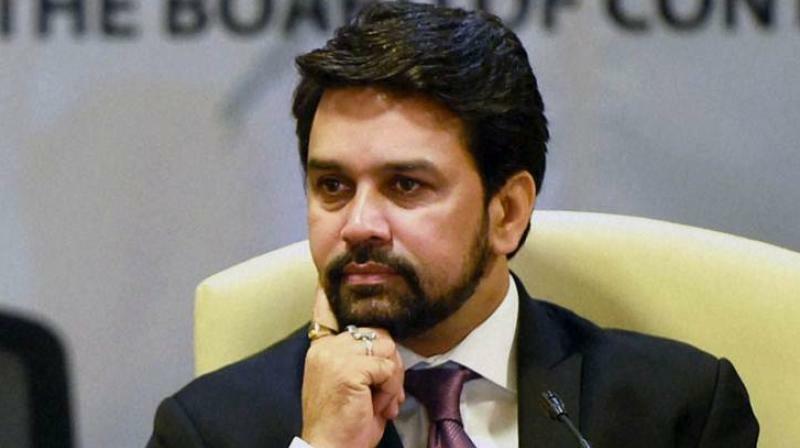 BCCI President Anurag Thakur on Tuesday inaugurated the cricket board's first ever annual conclave at the Himachal Pradesh Cricket Association (HPCA) stadium here. India skipper Mahendra singh Dhoni won the toss and elected to field in the second One-Day International (ODI) of the three-match series at the Harare Sports Club here on Monday. 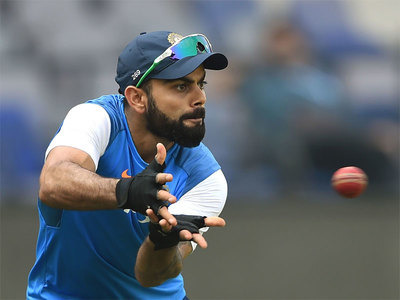 Team India skipper Mahendra Singh Dhoni won the toss and elected to field in the first One-Day International (ODI) against Zimbabwe at the Harare Sports Club here on Saturday. The Delhi High Court on Monday dismissed a plea by Olympic medal winner Sushil Kumar, seeking trials in the 74 kg free style wrestling to enable him win a berth in the Indian squad to the Rio Olympics. Royal Challengers Bangalore (RCB) lost out to Sunrisers Hyderabd (SRH) by eight runs in a dramatic final of the Indian Premier League (IPL) Season Nine on Sunday at the Chinnaswami Stadium. With the conclusion of the league phase, the stage is all set for the Indian Premier League (IPL) play-offs, as a rampaging Royal Challengers Bangalore (RCB) take on Gujarat Lions in the first qualifier here on Tuesday. Having won four of their last league games on the trot, the Virat Kohli-led RCB finished on the second spot on the points table while Suresh Raina's Gujarat Lions have had a successful debut campaign to atop the standings. The Delhi High Court on Tuesday asked the Wrestling Federation of India (WFI) to give a hearing to wrestler Sushil Kumar on his plea that trials for the 74kg class be held to enable him secure a berth in the Indian wrestling squad for the upcoming Rio Olympics. Kings XI Punjab's Glenn Maxwell on Tuesday became the fifth Australian cricketer to be ruled out of the Indian Premier League (IPL) after the swashbuckling batsman complained of a side strain. Maxwell will miss the final two league matches of his franchise, which is already out of the race to the play-offs. Wrestler Sushil Kumar on Monday moved the Delhi High Court seeking to hold trials for the 74kg class to secure a berth in the Indian wrestling squad for the upcoming Rio Olympics. The case would come up for hearing on Tuesday. The 2016 Indian Premier League (IPL) players' auction will take place on February 6 in Bengaluru with as many as 351 cricketers to go under the hammer. There are 230 Ind and 121 overseas players for the franchises to choose from. There are eight marquee players, including two Ind. The auction will also be the first for the two new teams -- Rising Pune Supergiants and the so far unnamed team Rajkot. India pocketed the three-match Twenty20 International (T20I) cricket series against Australia after winning the second match by 27 runs at the Melbourne Cricket Ground (MCG) here on Friday. India posted a strong 184 for three against Australia in the second of the three-match Twenty20 International (T20I) series at the Melbourne Cricket Ground (MCG) here on Friday. India's P.V. Sindhu rose a place in the women's singles rankings released by the Badminton World Federation (BWF) on Thursday to be ranked No.11. Compatriot Saina Nehwal remained the World No.2. In men's singles, Kidambi Srikanth and H.S. Prannoy remained at No.9 and No.20 respectively as reigning Commonwealth Games champion Parupalli also went up a place to No.14. IDBI Federal Life Insurance will be the title sponsors of the inaugural New Delhi Marathon that will take place here on February 28. India's Test cricket captain Virat Kohli will be the 'Face of the Event' which will see more than 15,000 participants. There are three categories -- the 42.195 km marathon, 21 km half-marathon, and 5,000 km Swacch Bharat Run that aims to promote a clean and green India. India beat Australia by six wickets in the fifth and final One-Day International (ODI) at the Sydney Cricket Ground here on Saturday. Batting first, Australia scored 330/7 in 50 overs while India chased down the total in 49.4 overs. Australia posted a challenging 330/7 against India in the fifth and final One-Day International (ODI) at the Sydney Cricket Ground here on Saturday. 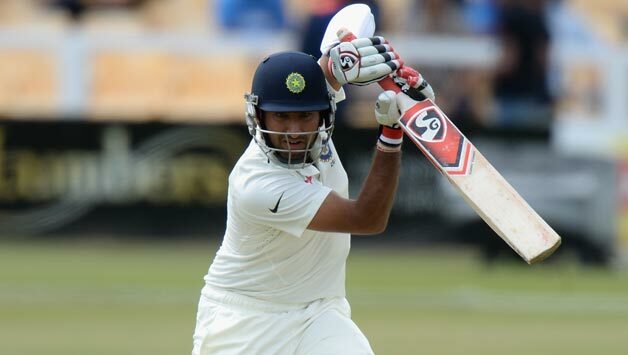 India lost their fourth consecutive match of the series to Australia by 25 runs at the Manuka Oval here on Wednesday. Bollywood superstar Aamir Khan on Wednesday spoke out in support of actress Sunny Leone, who was at the receiving end of harsh questions about her professional choices in a TV interview. During the promotional TV interview with CNN IBN anchor Bhupendra Chaubey, Sunny was asked that while she would like to work with Aamir Khan, would Aamir Khan like to work with her. Riding on a powerful batting performance, including a century from opener Aaron Finch, Australia posted a formidable 348/8 in the fourth One Day International (ODI) against India at the Manuka Oval here on Wednesday. Finch scored a run-a-ball 107 and posted an opening partnership of 187 runs with David Warner (93) to lay the foundation of a big total. The Pune franchise of the Indian Premier League (IPL) will be named Rising Pune Supergiants (RPSG) with India's limited overs skipper M.S. Dhoni captaining the side, its owner announced on Monday. 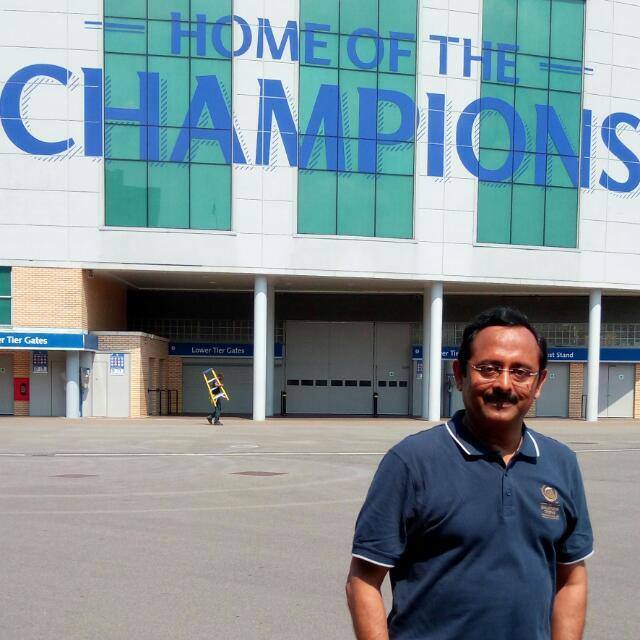 The franchise is owned by the RP-Sanjiv Goenka Group and its chairman Sanjiv Goenka exuded confidence that the new team would do well in its maiden season. On opting for Dhoni to lead the side despite having South African T20 skipper Faf du Plesis and Australian captain Steve Smith in the squad, Goenka said: "Yes, we have three captains in our team and we are proud of that fact. All three are outstanding leaders but looking into all aspects, we felt Dhoni to be the best choice". Gujarat pacer Jasprit Bumrah earned his maiden India call-up as he was on Monday named as a replacement for injured Mohammed Shami in the national squad for the three Twenty20 Internationals (T20Is) to be played against Australia. "The All-India Senior Selection Committee has named Jasprit Bumrah in the India T20I team as the replacement for Mohammed Shami, who has been ruled out due to injury. The Indian team is scheduled to play three Twenty20 matches starting January 26, 2016, the Board of Control for Cricket in India (BCCI) said in a statement. Shami, who returned to the national side after a gap of eight months following a knee injury, was named in the India squad for the tour which includes five One-Day Internationals (ODI) from January 12 in Perth, followed by three Twenty20 Internationals. The 25-year-old suffered another injury during India's Twenty20 warm-up match against Western Australia XI here on January 9. 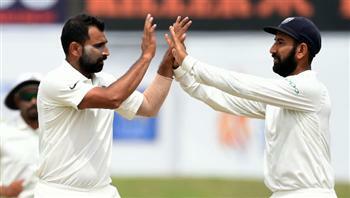 Shami, did not bowl in India's 74-run victory in the tour game, as he hurt his hamstring in training. With 14 scalps in nine matches, Bumrah, is the joint highest wicket taker for his state in the ongoing Syed Mushtaq Ali Trophy T20 competition.